Scientists at the Icahn School of Medicine at Mount Sinai have identified a protein marker that can signpost whether a patient with breast cancer will likely relapse and develop deadly bone metastases, or whether they will survive with a lower risk of developing metastatic disease. Building on previous work in mouse models and in human prostate cancer patients, results from the team’s latest research involving 86 breast cancer patients showed that those who had low levels of the protein marker NR2F1 in breast cancer cells that had spread to their bone marrow always developed metastatic bone cancer, and had poor survival. In contrast, patients who had high levels of NR2F1 (NR2F1high) in these disseminated tumor cells (DTCs) in their bone marrow were less likely to develop metastases, and they survived much longer. The findings also indicated that decreasing levels of NR2F1 in DTCs from sequential bone marrow isolates signalled that the patients would soon relapse. 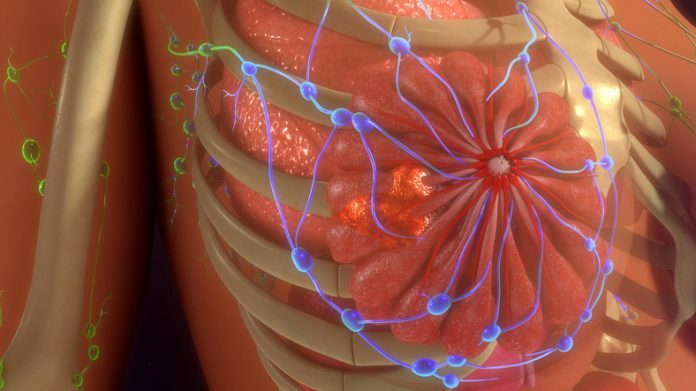 Some breast cancer patients relapse quite soon after surgery and first-line chemotherapy, while others might remain disease-free for many years, and some may not relapse at all, the authors explain. This suggests that even small numbers of cancer cells that have spread away from the initial tumor site and escape surgery and chemotherapy can remain in a dormant state for many years, but still retain the plasticity to reactivate and develop into metastatic tumors at a later stage. Prior studies in breast cancer patients had found that while the presence of DTCs in bone marrow is a strong indicator that the disease will recur within 5 years, more than half of these DTC-positive patients remain relapse free. In an ideal world clinicians would have reliable prognostic indicators to help identify those patients with bone marrow DTCs who are likely to develop metastases, and those whose disease wont progress. Work by the Tisch Cancer Institute had been focused on NR2F1 as a potential prognostic indicator of cancer metastasis for a number of years. The protein is an orphan nuclear receptor of the retinoic acid family, which prior work by Dr. Aguirre-Ghiso had shown is commonly present at low levels in human primary and metastatic cancers, and which in animal models is upregulated in DTCs that are dormant. Study data indicate that NR2F1 triggers cancer cells to enter this dormant, or quiescent state.